The Jockey Classic Midway- a long leg trunk part of the ever popular Classic range. With its original Y-Front design and soft elasticated waistband for ultimate comfort and fit, this item is ideal for everyday wear. 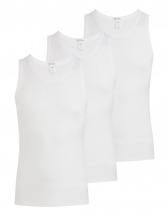 Made from 100% pure cotton this item is soft and breathable against the skin. Since my youth I have worn Jockey Pants.I am now 90 and for years have only been able to buy these mainly made in the Far East or Eastern Europe. No problems with goods or purchasing same. Quality and first class service. These are classic underpants and I find them very comfortable. These are quite loose fitting on the leg but they are supportive with the y front fly.